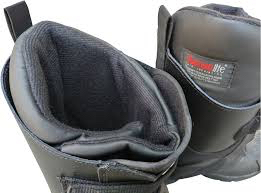 Why are snowmobile boots buying tips important? Cold Feet. Too many trail riders suffer unnecessarily with them after not purchasing the proper footwear for snowmobiling. 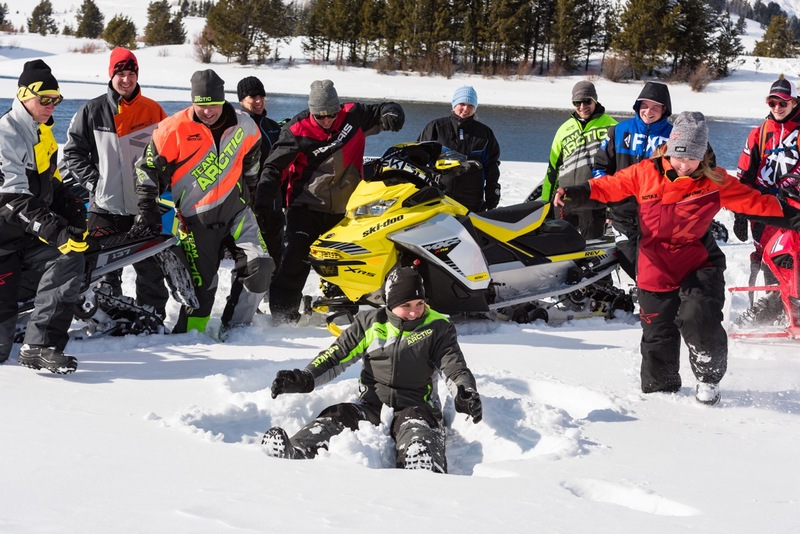 When you’re snowmobiling, your extremities usually get cold first. Hands and feet are susceptible because our bodies are programmed to give priority to core warmth. And this, combined with simply being farthest away from central body heat, can mean uncomfortably cold fingers and toes. Fortunately, today’s high tech snowmobile gloves and mitts keep hands more comfortable than ever before. Besides, most trail riders also have handle bar warmers to help keep hands toasty. Plus, many snowmobilers add the protection of handle bar muffs to ward off the most freezing air. But what about our feet? Typically, trail riding means planting a foot on each cold metal running board for hours on end. Throughout that time, we don’t move our feet around enough for optimal circulation. Nor is much heat normally coming from anywhere to provide necessary foot warmth. So it’s no wonder that cold feet are a top complaint from many snowmobilers. Sure some remedies are available, from heated socks and insoles to chemical toe warmers. But these are after the fact remedies. Wouldn’t it be easier to forget about batteries and wires and running out of warmer packets? So the best solution for cold feet is to pay careful attention to these snowmobile boots buying tips. They can help your feet stay warm from the start to the finish of every ride. Let’s start with the difference between a “winter” boot and a “snow” boot. Winter boots tend to be general usage, daily living boots. They are typically lighter weight, easier to walk in, ankle height and more stylish looking. Winter boots do not have snow gaiters to keep snow out. And while many are at least water resistant, they are generally not as water proofed for extremes as snow boots. On the other hand, snow boots are specifically designed for wearing in nasty snowy and wet conditions. Their insulation and height makes them somewhat heavier and bulkier than winter boots. And typically they keep water out with rubberized shells over the lower section (from the laces down), including the toe rand and outsoles. Snow boots do include snow gaiters. 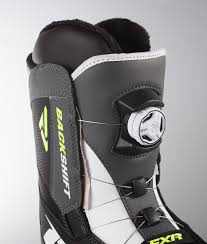 All of these factors make them ideal snowmobile boots. 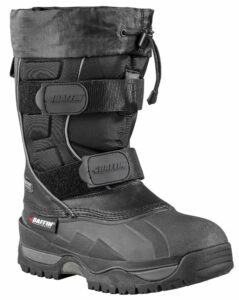 Snow Boot Buying Tip #1: First and foremost, choose a good pair of snow boots that work best for snowmobiling. If they can also be used for other activities, fine. But don’t make finding a boot versatile enough for multiple uses the priority. Inevitably, this will lead to compromises that may well impair its optimal effectiveness for your trail riding comfort. Snow Boot Buying Tip #2: Be careful, because all boots sold for snowmobiling are not necessarily snow boots. Some are purpose-built for aggressive riding, racing, mountain riding or backcountry riding. These may or may not have all the attributes for warmth I outline below. Or may have other characteristics that you’re paying for but don’t really need as a trail rider. Your search for warmth starts with focusing only on snow boots. As already explained, warmth is directly related to how well insulated and dry the inside of the boot is. And how well it keeps snow and wet out. As with most products, you get what you pay for, so don’t cheap out. Generally, cheaper snow boots aren’t as warm because they are not as high tech. Or have less (or not as good) insulation. Or simply are not as well made. So if you want warm feet, buy the best. The first thing I look for is a snow boot’s warmth rating. The lower the better. For instance, Baffin Eiger boots are rated down to -100˚C/-148˚F. This is the manufacturer saying that this boot should keep your feet warm unless it goes below -100˚C/-148˚F. That may sound absolutely arctic. And I bet that few of us would even ride if it were actually that cold outside. But that very low rating gives me lots of leeway between the coldest I’ve ever experienced (about -45˚C – yes I’m crazy) and the Eiger’s -100˚C. Compare these numbers to what you’d get from a snowmobile boot only rated to -50˚C/-58˚F. How cold the wind chill is. How cold the air generated by your moving sled is. The length of time you’re out in the cold. How susceptible you are to the cold. How often you stop to warm up. If your feet remain dry. If you’ve had enough food to properly keep your body core fuelled. Warmth Buying Tip #1: Although there appears to be no universal, industry-wide rating standard for snow boots, I think it’s a useful guide. If a boot does not display a temperature or warmth rating, my inclination is to move on to one that does. Another useful number to look at is the one for insulation, typically stated in grams – the higher, the warmer. 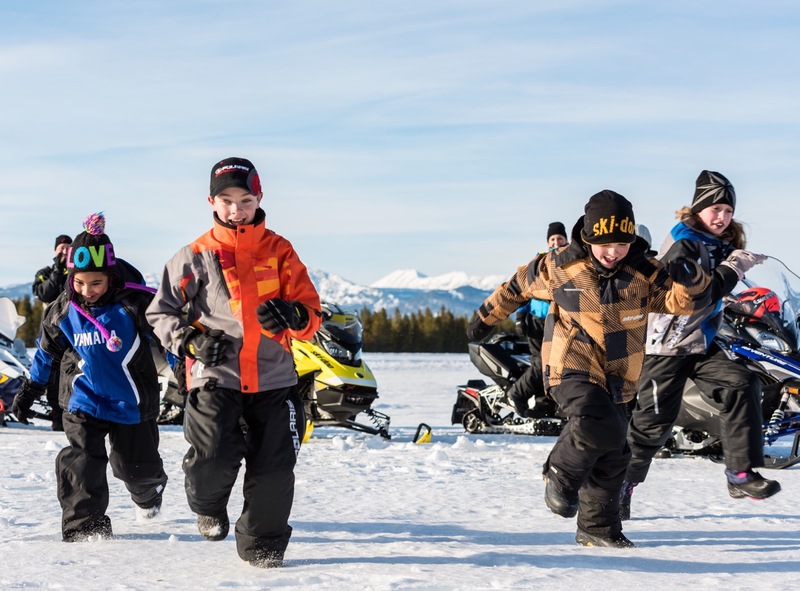 To achieve a top temperature or warmth rating, a snowmobile boot needs good, dry insulation at the ankle, around the foot – and especially between the sole of your foot and the snow. Warmth Buying Tip #2: If your feet are especially susceptible to cold, they may suddenly feel chilled when you stop into a restaurant for lunch. If the establishment is warm or you can find a heat vent, try taking your boots off during lunch. This way, both your feet and boot interiors get a chance to return to room temperature. Just be careful not to get your socks wet from the floor. So no walking around without boots on. Another suggestion for keeping socking feet dry is to sit at your table with boots lying on their side on the floor and rest your feet on them. Waterproof is much better than water resistant. And snow boots keep the wet out very well. This is important because wetness conducts cold faster than dryness. Typically, we think of getting wet from a “soaker” by stepping into water. But wetness can also result from foot perspiration that leaves your feet feeling clammy and cold. This subtle moisture occurs naturally throughout the day. But excess can also be precipitated by the hard work of more aggressive riding. Or by digging out a buddy’s sled from the rhubarb. Rarely does inside moisture happen because your snow boot is too hot. So it’s important to wear socks that wick perspiration moisture away from the skin of your feet to keep them feeling warm. Moisture Buying Tip #1: Always look for snow boots with removable liners. Take them out after every ride to dry overnight beside a radiator or heat vent. If necessary, put them in the hotel dryer for a cycle to dry them out. Now you’ll start every day with warm feet, especially if you pre-heat the inside of your liners with the hotel dryer, a boot dryer or even a hair dryer. If your liners aren’t removable and you get a boot wet, how do you get it dry for tomorrow’s ride? This is especially a problem on a saddlebag tour when you’ve got to leave for your next destination regardless of a boot that’s still damp! Moisture Buying Tip #2: While some snowmobilers (and ice fishers) swear by their insulated rubber boots for winter, I’m not sold. Yes, because their entire exterior is rubber, they are top performers for keeping water out. But for the same reason, they also hold moisture in. This means that many riders may find their feet get damp (and therefore chilly) from perspiration more quickly in rubber boots. Snow boots that don’t fit properly may be the number one cause of cold feet. Try on various choices wearing your snowmobiling socks. And then select a snow boot that isn’t too tight or too narrow. Or so short that your toes are always scrunched up. In a good fitting boot, you should be able to wiggle your toes easily and not feel that your feet are constricted. There should be just enough space for good circulation of warmth generated from your foot. But not so much that your feet swim around inside. Or that it feels like the boot is coming off at each step. I’d even recommend trying on a new pair of snow boots while wearing your snow pants, just to make sure they’re compatible. Proper Fit Buying Tip #1: Don’t wear too many socks. The same rule applies as for layering your upper body. Wear a light, moisture wicking inner sock covered by a heavier thermal sock. Make sure you buy socks that stay on properly, not slip their way off your feet inside the snow boot. Proper Fit Buying Tip #2: Some snow boots may fit less well on the running boards of your sled. Especially where they are narrower such as on some crossover or mountain sleds or at the back where running boards aren’t as wide. So you want to make sure your new boots fit your sled too. This means not getting caught up on running board traction flanges. Or not sitting properly into the footrests. Proper Fit Buying Tip #3: If you need to use a chemical toe warmer, place it on the outside bottom of the inner sock. And then cover it with the thermal one. Comfort is very personal. With snow boots, it certainly starts with proper fit. So be sure to get that right. Another comfort consideration is boot weight. 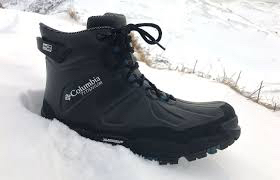 Snow boots tend to be heavier than winter boots primarily due to their anti-cold and wetness properties. So be sceptical about a really light boot. It may have achieved weight loss by skimping on insulation or other important materials. But some manufacturers can deliver the goods lighter than others. So narrow your choice down to a couple of snow boots with virtually identical insulation and water proofing qualities. And then, all other things being equal, opt for the lightest one possible. Snow boots also tend to be clunkier than winter boots. This attribute, plus weight, makes then generally less comfortable to walk in for any distance. Just one more good reason to keep your sled very well maintained, never to ride alone, and also carry a tow strap! However, a good in store walk around will help you decide if one boot is considerably more comfortable than another. Ease of Use Tip #1: Generally speaking, due to their bulk, I wouldn’t recommend wearing snow boots while driving an automobile. Other comfort factors to consider include boot height. You want to avoid chaffing or uncomfortable pressure points from the tops or boot gaiters. Also, how stiff is the boot around the ankle? Does it provide sufficient support for your riding style? But enough flexibility that you can ride comfortably with your ankles bent or flexed? Another consideration is how easy the snow boots are to put on and take off? You don’t want to fight them every time or require assistance pulling them off. 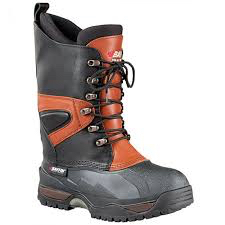 Typically, snow boots either come with lace or strap fastenings. All other things being equal, this is a matter of personal preference. Laces may provide a snugger fasten for the full length of the boot front, whereas Velcro straps offer more convenience in a decent fastening option. And Velcro straps don’t break like laces may. Personally, I go for straps. They allow me to slip my snow boots on an off more easily. And without doing up and un-doing every time. Plus, I’ve encountered especially wet or icy situations that froze laces, making them more difficult to undo. Also, strapped snow boots tend to have no front opening like laced boots do, making water intrusion less likely in my opinion. However, if you’re opting for laces, you may want to consider snow boots using the BOA Fit System with steel laces for optimized fit. Usually, traction in boots refers to control over slipping. 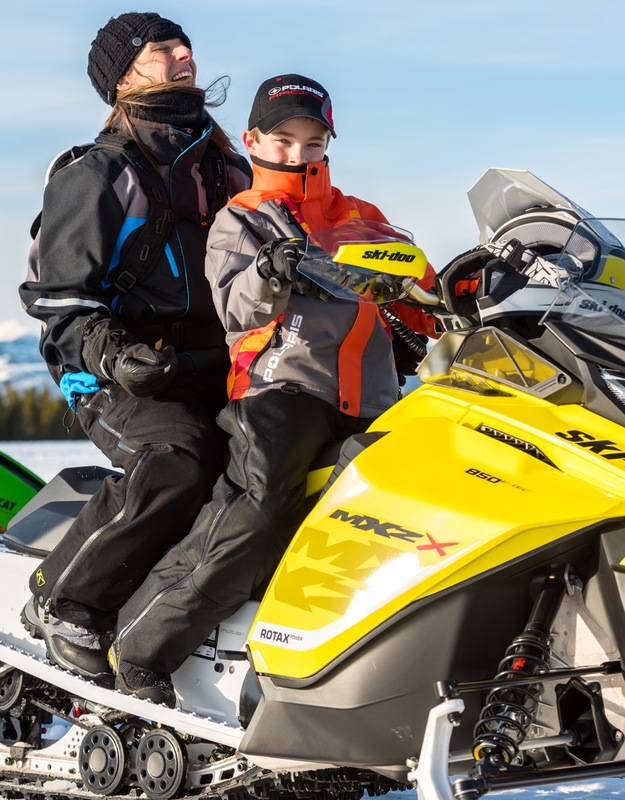 While walking’s a factor with snow boots for snowmobiling, the kind of traction that’s most important is with the running boards of your sled. So you want to make sure you purchase snow boots that won’t slide around uncontrollably on metal. Or that won’t stand up to constant contact with the traction flanges on your running board. 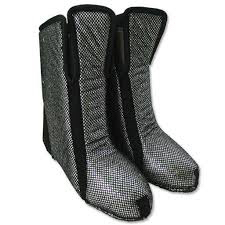 Recently, many snowmobile boots seem to be all about making fashion statements. So now you’ll see models in many bright colours and eye-catching styles. And there’s nothing wrong with that. As long as fashion doesn’t compromise function. My recommendation? 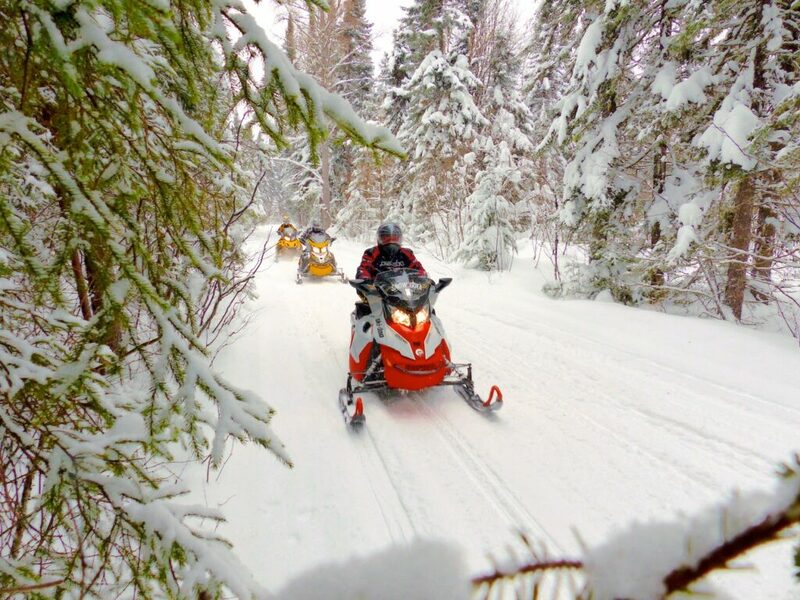 When shopping for snow boots to be used primarily for snowmobile trail riding, check off the many factors listed above first. Decide on a make and models that works for you. Then, and only then, allow fashion to enter the equation by checking to see if a model with your exact specifications is available in another style. Fashion or Function Buying Tip #1: Earlier I stated that you get the quality you pay for. 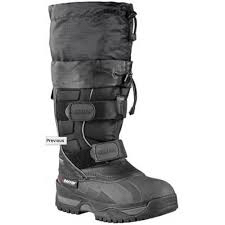 But be careful when comparing the price of especially stylish snowmobile boots with snow boots. With the former, you may be paying a high price for fashion. With the latter, the high price is more likely for function. 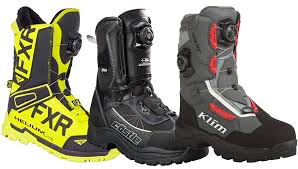 As you can see, choosing the right snowmobile boot for you can be tricky. And if you’re not knowledgeable and careful, it’s too easy to end up with a pair that will leave you out in the cold. That’s one good reason to buy your snow boots from a company that specializes in manufacturing purpose-designed footwear for winter extremes.